Pixel Dust Photo Art: Texture Tuesday - "The Word Edition"
Texture Tuesday - "The Word Edition"
This is my submission for Kim Klassen's Texture Tuesday. 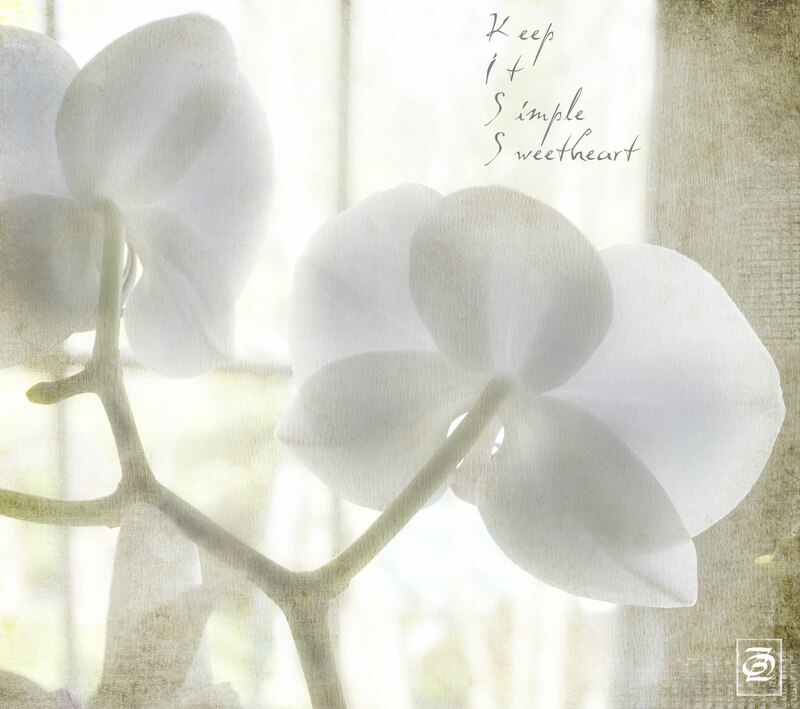 I used KK's Love Texture and added my adaptation of the oft-used KISS acronym - Keep It Simple Sweetheart. If you would like to download a fabulous free texture, from Pixel Dust Photo Art, click HERE. I love the composition and softness on this. Great font, too. Fabulous photo and textures - looks so dreamy and I like your adaptation of KISS! Beautiful, Bonnie.it's like looking through dreamy soft curtains on a hot day. Love the writing. Thanks for stopping by. Extra pretty I think! Very very nice! There is something...or nothing...like white! Your perspective is fabulous and the application of texture is perfect. Oh so pretty! Love how soft it is and I love the alteration of the quote! Beautiful font, too! Superb picture with splendid colors. Pure beauty with exquisite textures. Congratulations, a hug. beautiful, love the light and texture use! This is just gorgeous Bonnie! The whites are truly perfection. Love the softness of this image, beautiful texture work. And what clever use of the words, awesome! Almost time for Your Sunday Best!